The force is strong with this: RESIN CASTING. Resin is a much higher quality than a 3D print. & yes - this is the blaster that you are looking for. These are in very high demand right now, so it may take up to two weeks to ship. 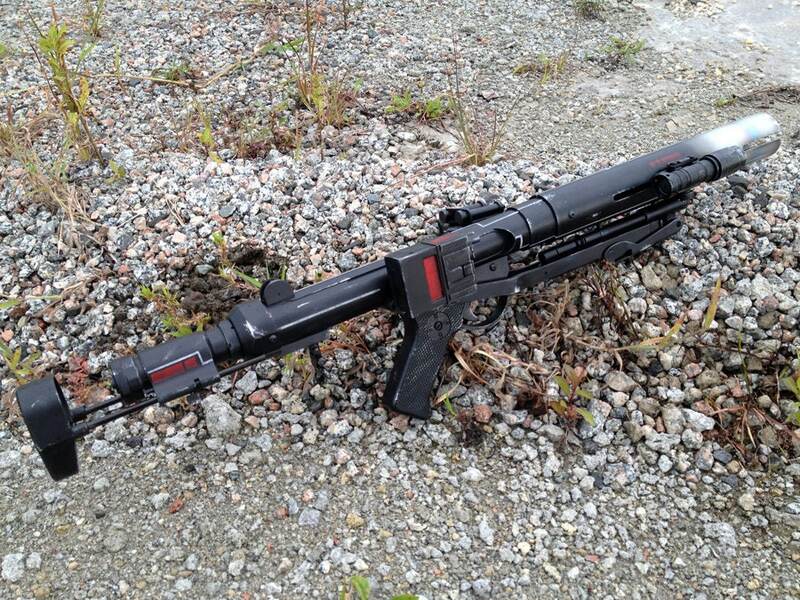 This is a casting from a 3D print of a blaster gun, as seen in a very popular new sci-fi movie. 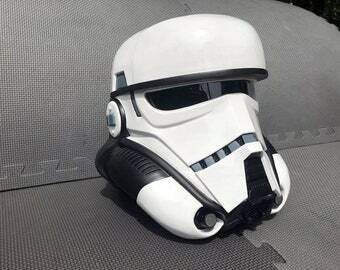 This is a fan made replica, and neither myself nor this product is affiliated with Any of the studios involved with making the movie. This blaster is made from an impact resistant polyurethane casting resin. The main part is hollow, with a 1.125" inner diameter. Parts will require minor filling and sanding prior to being painted and assembled. All hardware is included. Vinyl decals are also included with a raw kit. A resin dummy flashlight, and resin sling mounts are included, but if you plan to add a sling, I would highly recommend getting real sling mounts, as the resin ones will not hold up. This blaster is one of the cleanest and most detailed ones available. It is full size. Choose between a raw kit or a completely finished blaster. A finished blaster may take up to 1 month to produce, and will look just like the photos. Finished blasters will have metal sling mounts, and for an additional $50 a real M300A flashlight. Great detail, resin so stronger. It’s fantastic!! Very pleased with it! !